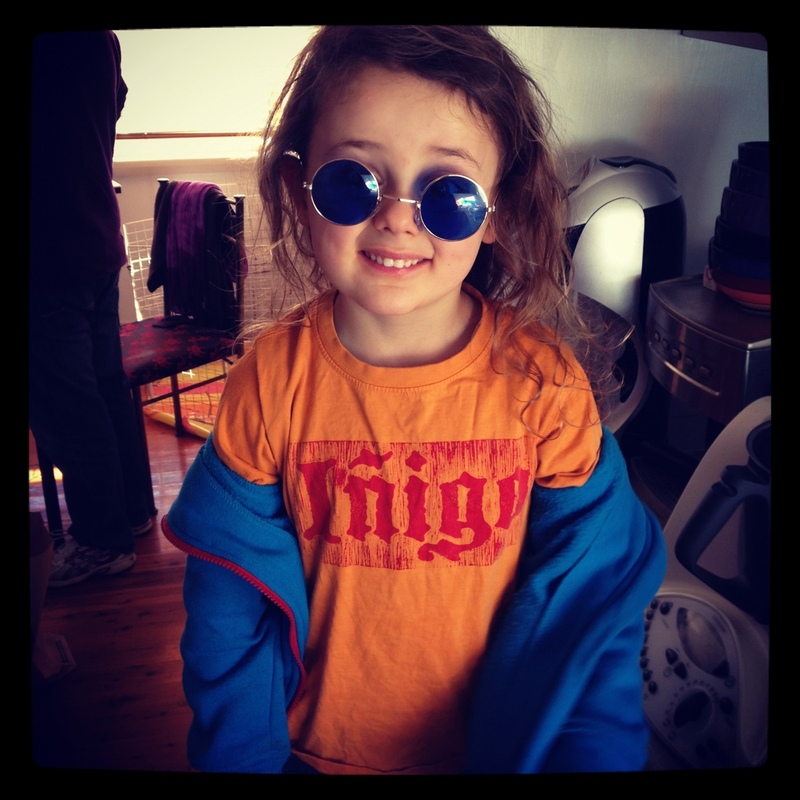 Inigo in some I the novelty sunnies from last nights party. Yesterday was Leapy’s second birthday, Karl’s fortieth, and Marks company half year party. Bev and Ted kept Squish overnight, so Mark and I had a lovely night. I am slowly getting to know some of his colleagues and their other halves, so the parties are a bit more fun now. Last night was amazing. I met the wife of one of the partners, and we bonded over cracking jokes and drinking cocktails. I solved the problems of the world with a young guy from Melbourne who described his recent Hindu wedding ceremony, and reconnected with Magda from Poland, who apparently was inspired by my story at the last party, and has decided on more study and a career change. I was really touched. I’ve cooked up a storm, had a great nights sleep, and bought a new kitchen appliance. Life is good. And I am completely unprepared to start uni tomorrow! Author laranettlePosted on July 25, 2012 Categories The Life of Lara, Uni4 Comments on Distinction! …and a crocodile came and ate it. Inigo singing in the bath this morning. I’ve had a few people ask about my relationship to Normal Lindsay, but I don’t really have one – he died a few months before I was born, so I only ever met him in utero. My maternal grandmother was one of his models, and our family has a few pencil drawings. My brother also has a copy of “The Magic Pudding’, in which he wrote, “A slice of pudding for Adam”. Since my grandmother (Rita) was one of my favourite people ever, I am enormously proud of her beauty and her grace, the same qualities that captured Lindsay’s attention. In a biography of him, his daughter wrote of Rita that she had the sort of presence that meant she could “make a kitchen chair look like a throne”. Nanna died before I met Mark, or ever considered Inigo, but she would have adored both of them, and they her.